Spider-Man meets Animorphs in this thrilling new middle grade series from Lisa McMann, New York Times bestselling author of the Unwanteds series. 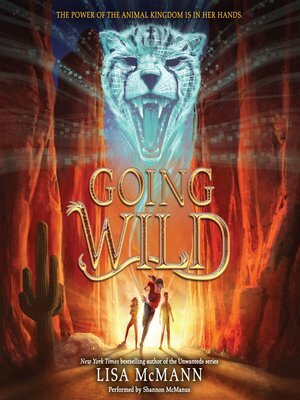 Newbery Medal–winning author Katherine Applegate calls Going Wild "gripping, action-packed, and filled with humor and heart." Charlie Wilde knew her life would change forever when her family moved from the city of Chicago to the suburbs of Arizona...and that was before she found the bracelet. After putting it on, she notices odd things start to happen. Suddenly Charlie seems to have the speed of a cheetah and the strength of an elephant—and that's just the beginning. She would be thrilled about her transformation if she had any idea how to use the device or control her amazing powers. So Charlie is forced to put her trust in new friends to help her uncover the surprising truth behind the mysterious bracelet.